This revolutionary Little-Book-Inside-a-Larger-Book concept teaches kids how to get more information in a fun and interactive way. Each two- page color story ends with a symbol relating to the story. The symbols are keyed to the pages in the little book where kids will find more information and questions to help them think about the important principles in each story. 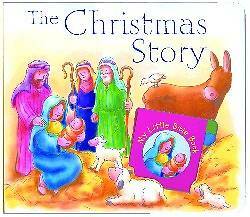 The Bible reference for each story is also included.